Regular carpet cleaning is a must in order to maintain a professional appearance and to prolong the life of your carpet. In carpet care, it is important to treat soiled spots quickly and periodically extract the carpet. This ensures that surface stains and odors are removed on a regular basis. If extraction is not done on a regular basis, stains can set in permanently, leading to costly carpet replacement. What is involved in carpet extraction, more specifically hot water extraction (HWE)? Quite simply, it is the process of delivering a cleaning chemical, agitation or pressure is applied and then a vacuum recovery system is used. This method used to be called “steam cleaning” even though no steam was being used to clean the carpet. Here are a few different features to look for when purchasing an HWE. Water pressure - A minimal amount of pressure is needed to distribute the water and chemicals to the carpet. Some manufacturers advertise their machines for using high-pressure systems. Too much pressure can force moisture into the backing of the carpet which leads to increased drying times, mildew and odor. Spray nozzles - The advantage of using a single spray nozzle is that they have a larger opening for the solution to pass through. Multiple spray nozzles have smaller openings which lead to clogging and increased maintenance. Powerbrush- An extractor with a rotating brush is almost always going to provide a superior cleaning result. Get an extractor with a brush if possible. Water temperature - Pay attention to the manufacturer’s temperature rating for their machines. The hotter the water, the better. What are the different types of carpet extractors? There are a few different machine types of HWE in use today. 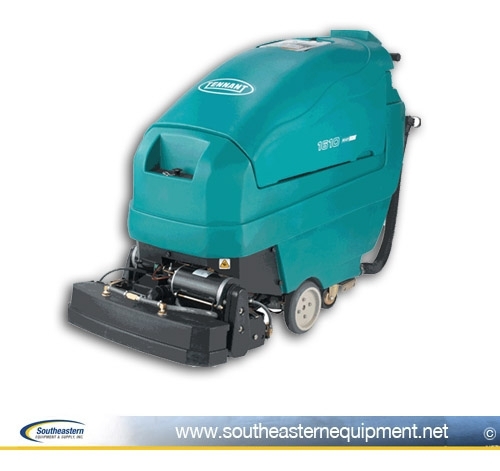 The three most common machine types are self-contained/portable, walk-behind, and the large rider carpet extractors. 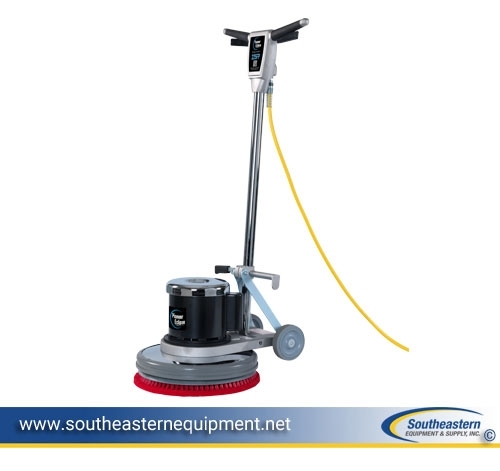 These small to medium extractors are the most popular type of carpet cleaning equipment. The beauty of these machines is that it includes the hoses, tools, power brush, spray nozzle, and tank. 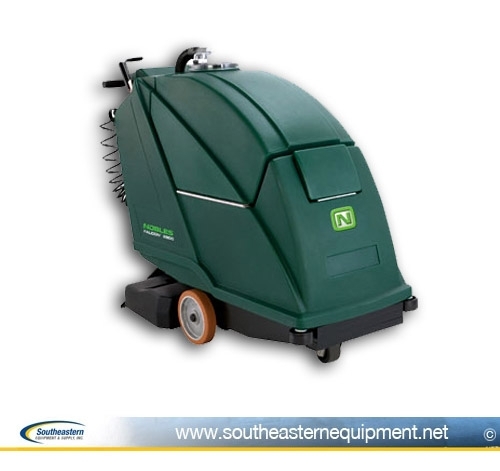 These portable and efficient machines are commonly used in residential and small business cleaning. These large machines are a must if you have a large area to clean. 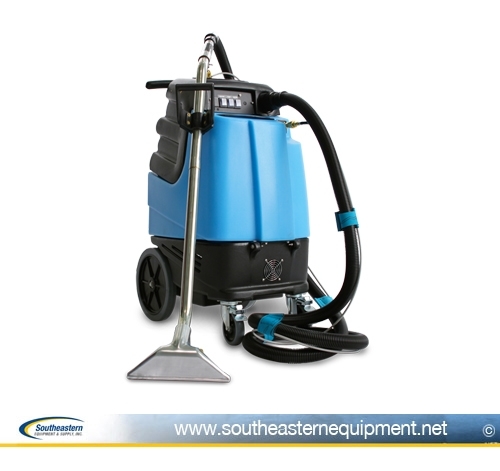 This automatic extractor dispenses the cleaning solution, scrubs, then vacuums away the solution into a recovery tank. Since these machines are self-propelled, it is the easiest of extractors for operators to use. Their soil recovery is not as good as portable extractors however, they make up for it in productivity. They are most commonly used in commercial businesses such as hotels, schools and government facilities on a weekly, sometimes daily basis. These methods of carpet cleaning employ the use of a bonnet pad or shampoo brush attached to a single-disk floor machine. 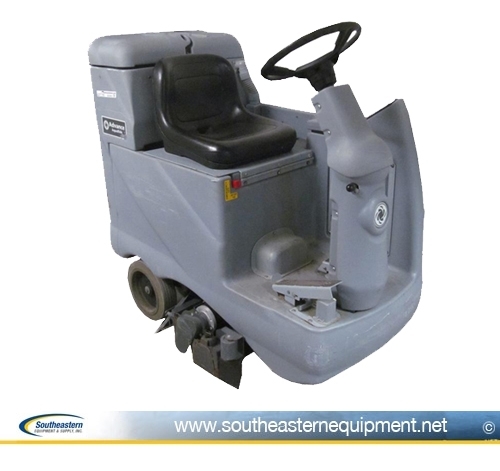 With bonnet cleaning, the solution is applied to the carpet by means of a tank on the machine, a sprayer, or applied directly to the bonnet pad. A skilled operator is a must because the pad must be continually monitored. If the pad is too damp then residue will build up, too dry, it could damage the carpet. Rotary shampooing involves a carpet brush that is attached to the machine and the shampoo is fed to the carpet through the brush. The residual foam then has to be vacuumed away in a second step. When deciding on a carpet extractor, the area of the carpet and the frequency of cleaning are the deciding factors. A portable extractor is going to give you the best soil recovery but is not good for cleaning large areas. The higher investment of a walk-behind or rider extractor might be justified for the increased productivity. Bonnet/Rotary Shampooing is going to be your most economical choice but beware of the disadvantages that go along with using a disk machine on carpet floors.